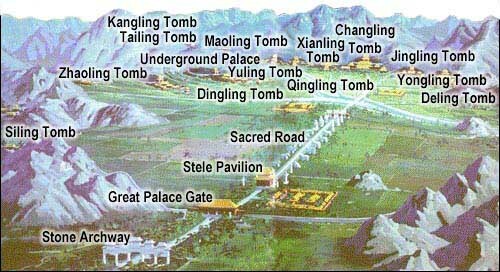 The Ming Tombs Report will continue with a Full Report on Chang Ling and Ding Ling Tombs. No information on Kang Ling as of yet. 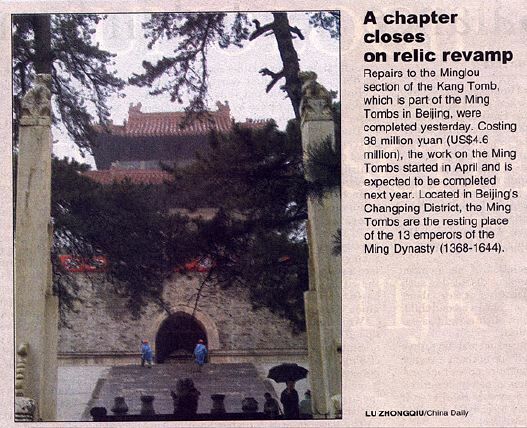 China Daily article on restoration of Kang Ling Tomb in the far western stretches of the Tomb Valley.